YOU have to feel for Newcastle United’s fans. As loyal as a Labrador, but rarely do they get chucked a morsel from the table. They trotted up to Craven Cottage on the opening night of the 2016-17 season, forced into Friday night football by the broadcasting gods, and no doubt they were still arriving back in Newcastle-Upon-Tyne mid-morning on Saturday. A couple of hours later, it would have been interesting to hear what the tall, bearded Geordie had to say about his team. Newcastle, despite being urged on by some 7,000 faithful disciples, were decidedly powder-puff against an enthusiastic Fulham side. It may have been along the lines of the words uttered by the black and white striped shirt-wearing fan who shook his head in disbelief: “It’s got to a point where I don’t expect anything. We’ve been badly let down for so many years now.” An expletive followed about Mike Ashley. The club worked hard to keep Rafa Benitez in the Championship. He spent £50 million or so in the summer on a cluster of players. Some have got Premier experience – such as Dwight Gayle from Crystal Palace (£10m) and Matt Ritchie from Bournemouth (£12m). There’s also Isaac Hayden, a 21 year-old from Arsenal who managed one Football League Cup appearance at the Emirates. Ciaran Clark (Aston Villa) Grant Hanley (Blackburn) and Momo Diame (Hull City) also moved to the North East. 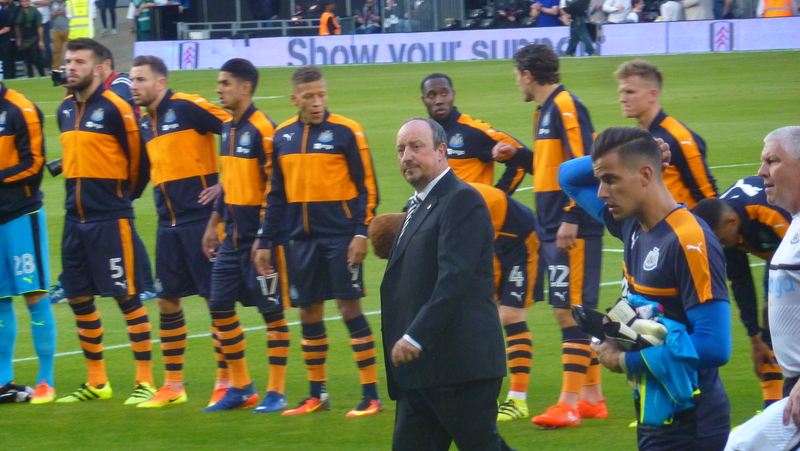 All eyes were on Benitez as he strode purposefully to the dugout before the game. You get the feeling that it will be a one-year stab at promotion for the sought-after Spaniard. If Newcastle fail, he will surely move on and it could be the same outcome if he succeeds. Promotion will make him the target of other, perhaps Champions League bound, clubs. There can be few more attractive places to visit than Craven Cottage on a balmy August evening – and certainly no finer stadium to help with acclimatisation to the Championship. A gentle walk along the Thames, through Bishops Park, with rowers as your neighbours on the river. Then you emerge into Stevenage Road, where terraced houses, the price of a midfielder from Spain, hide middle-class, upwardly mobile professionals and “yummy mummies”. I bet they just love having a football ground in the ‘hood as they weave their 4×4 vehicles into the heart of London SW6! 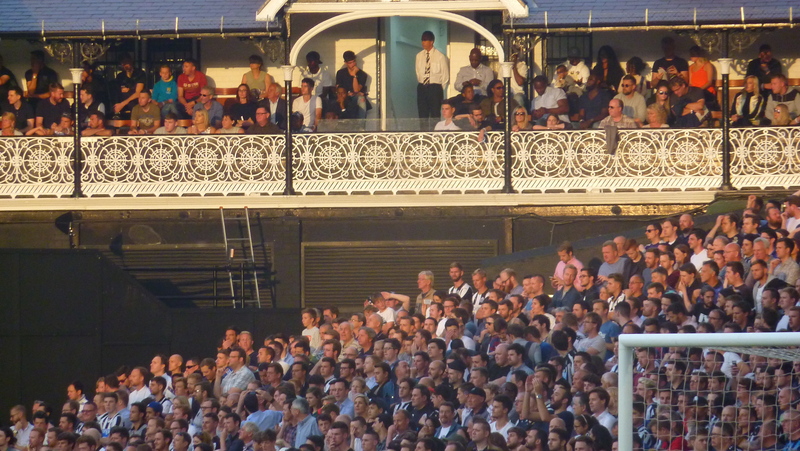 But the location really does make Fulham one of the nicest grounds to visit in London, certainly more hospitable (and financially accessible) than the club at the other end of Fulham Road! And I say that as a Chelsea fan. 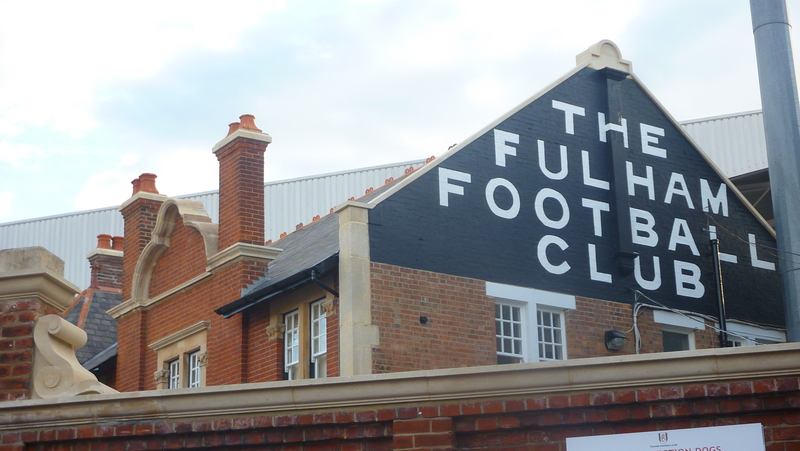 Fulham have used a cheeky but nonetheless accurate marketing tag, “London’s Original”, which plays on the fact that the club is the oldest in London. Tottenham and Arsenal were three and seven years behind the Cottagers, respectively. And if Fulham had taken up the offer to play at Stamford Bridge, there would have been no Chelsea FC in 1905. Thank goodness for that, for we would have been denied the chance to visit Fulham’s homely and picturesque ground with its Archibald Leitch stand. For 2016-17, Fulham manager Slavisa Jokanovic had made more than half a dozen new signings, including a loan deal with Chelsea for the Czech defender Tomáš Kalas. On the eve of the season, they sold Ross McCormack for £12 million to Aston Villa. Before meeting Newcastle, they had beaten Crystal Palace 3-1, an encouraging sign before the serious stuff started. The teams trotted out to a rapturous welcome. Newcastle’s fans make a lot of noise and there is an air of expectation that they can make a swift return to the Premier. But their team, which contained five players making their debut, looked a little nervous. The Geordies felt they should have had a penalty when Fulham’s Ryan Tunniclife appeared to handle in the area, but overall, Newcastle looked short up front. There was no sign of Moussa Sissoko, who is trying to force a move from the club. Real Madrid and Manchester United are said to be interested in the French international. They needed him against Fulham. The home side scored just on half time with a classic header from Matt Smith, who met Tom Cairney’s cross with power and direction. Newcastle tried to save the game, but they appeared over anxious to please at times. Jonjo Shelvey was among the substitutes and looked good when he came on, but they lacked the punch to seriously test Fulham. Newcastle’s team might look very different in a few weeks as Benitez tries to forge a winning formula. On the evidence of the first game of 46, he is some way from achieving that, but never bet against Rafa, as Chelsea found out. Next Entry State of Play: Birmingham City – a brighter future, perhaps?